Christmas is sneaking up on us, isn't it? 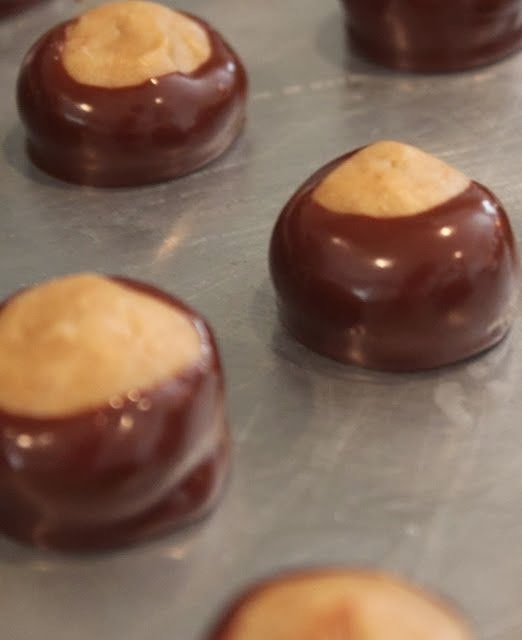 Today, I thought I would re-post a list of my top 3 favorite crafts and recipes that I featured last year (candy Buckeyes, anyone? take my word for it: MAKE THESE) for anyone who missed them or is just looking for some ideas this month! 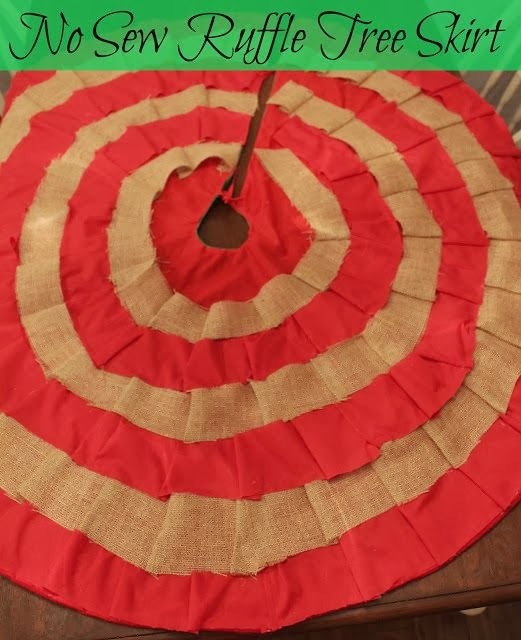 I got some questions about the tree skirt I made featured in my post yesterday, so I will include a link for that as well. I make these for our annual cookie exchange with my Mom's family. 10 dozen to be exact. They are a big hit with everyone and are surprisingly really easy to make. If you are looking for an easy, unique but delish cookie to bring to a family party (or to make if you are hosting! )...these little guys are your secret weapon. A year later, this wreath is still holding up fantastic for me. I love that I can use it year round on our front door! Who would've thought that this would be one of my most pinned recipes on Pinterest and one of my highest viewed posts?! I definitely didn't! But this makes me smile so much. 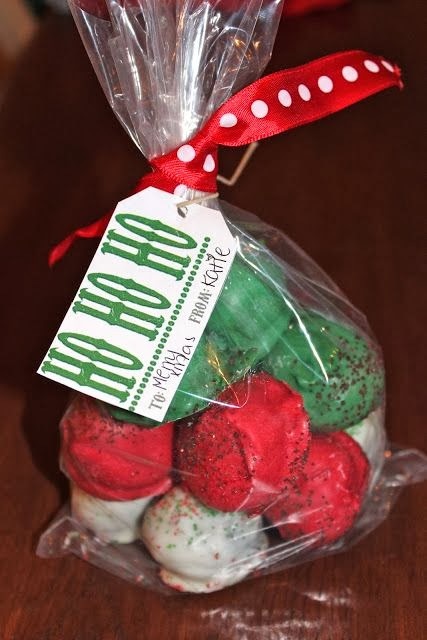 These are actually made year round around these parts, but they are perfect for the holidays too. You simply cannot go wrong with peanut butter and chocolate rolled up into one. You'll thank me later. What is your favorite holiday craft or recipe? Share the link with me so I can find some new ones! I love the tree skirt. 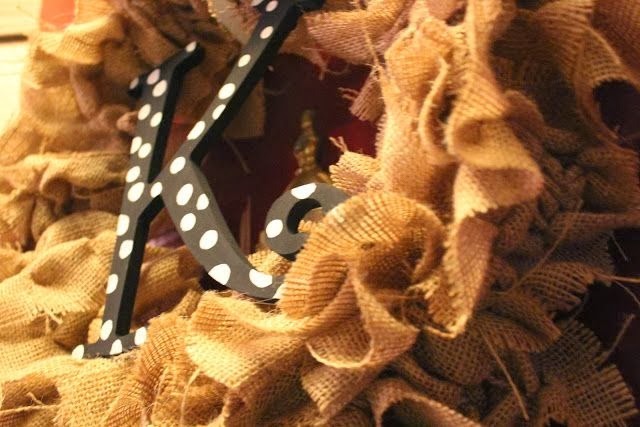 My favorite holiday project is the burlap banner. I have one for every single holiday haha!! Love that tree skirt! So cute! I need to try those buckeyes! Yum! Giving anything in a Mason jar is always a good gift in my eyes! I have had the material to make that tree skirt for 2 years now & just haven't! The time is what kills me! HAHA! Maybe I can try to get it done this week sometime!? All of these are such great ideas though!! The food is making me hungry! The no bake oreo balls are on my list to make and give out this season! They are so festive all wrapped up like that! I cannnot believe it's been a year since you posted that! Wow! Time is flying! My Mom and I make the oreo cookie balls every year along with caramels. In our family and group of friends we call them "Crack Balls" because they are so addicting!!! I have never made oreo balls, but I'm having a few girlfriends over for a cookie decorating party so I might have to add those to my list. I love making my girlfriends banana bread and gifting it to them around the holidays. Really random, but fun! I will have to try the crack balls... they look easy! Thank you for posting this...We're getting our tree this Friday and I've been wanting to update our tree skirt. I was about to search through your blog for the instrtuctions from last year, and low and behold they were staring me in the face. Thanks for saving me some time! Merry Christmas!